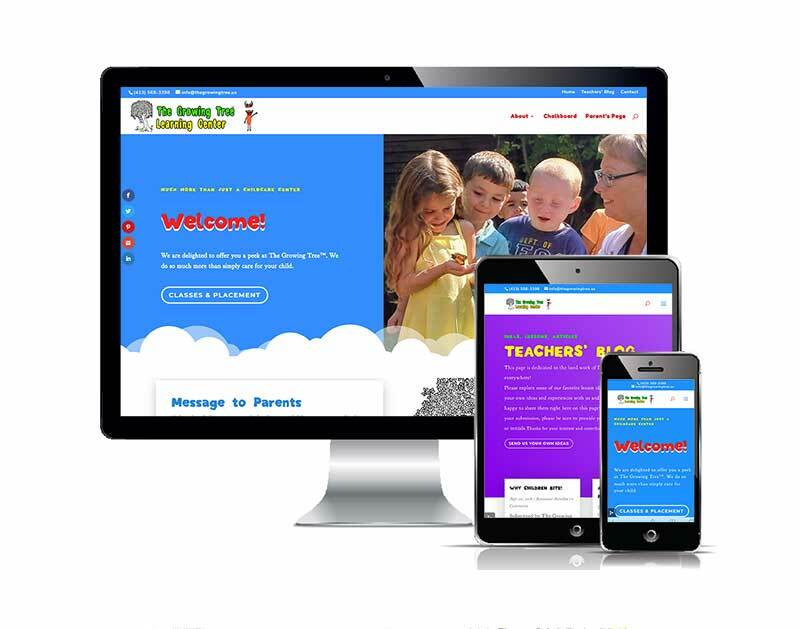 Complete website re-design for a long-time COMMbits client, a unique childcare center in the US. The Growing Tree Learning Center in Westfield, Massachusetts in the US enjoys COMMbits web technologies for 14+ years. They offer a warm, safe and nurturing environment, educational curriculum and caring Faculty. Ms. Ellen Daniels, Director of the Learning Center, reached out to COMMbits initially in 2004 to develop the first-ever web presence for her Learning Center. The combination of daycare facilities with a fully-fledged educational center has been identified during the initial analysis phase as one of the unique characteristics of this Center, differentiating it from other similar facilities. The web site was subsequently developed with a concentration on this central notion. Since then, the website went through a few transformations. When the site was initially developed, WordPress wasn’t even available yet. Later on, we “ported” the project into WordPress, without changing the design. With this brand new initiative we have performed a complete website redesign, using current and modern tools and methodologies. The trend now is “Hero” images (full-width imagery and tag lines that tell a story), animated widgets, large copy text, shadows and easy-to-read bold statements.